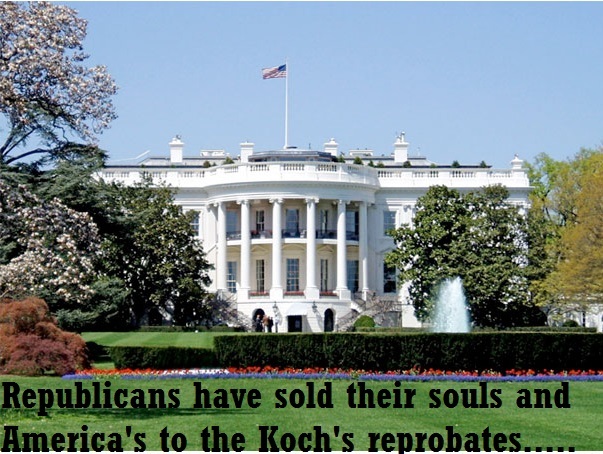 In a twist of delicious irony, the GOP’s marriage with the Koch brothers has come back to haunt them. The Republican National Committee is in full panic mode as they finally realize that they can no longer control the monster they’ve created. New revelations from high-ranking RNC officials points to an “all out war” with the Koch’s political organization over voter data as more and more Republicans turn to the Koch’s i360 platform for managing voter contacts. 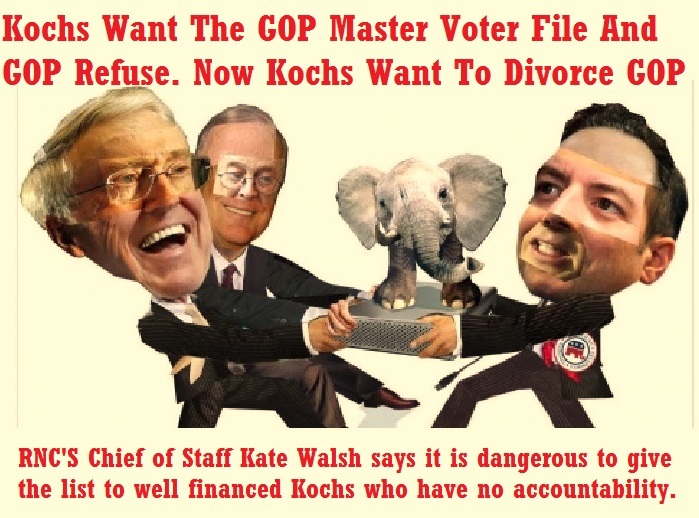 The RNC is now resisting efforts by the Kochs to get control over their master voter file. One can only laugh as the RNC’s chief of Staff, Kate Walsh, says that “I think it’s very dangerous and wrong to allow a group of very strong, well-financed individuals who have no accountability to anyone to have control over who gets access to the data when, why and how.” The RNC is in danger of being pushed out of their own organization and ceding control over the entire Republican Party machine to the Kochs, whose ideology of free-market fascism is focused only on increasing their own profits.